Spend the 20th (Sat) exploring the collection at Museum Island. 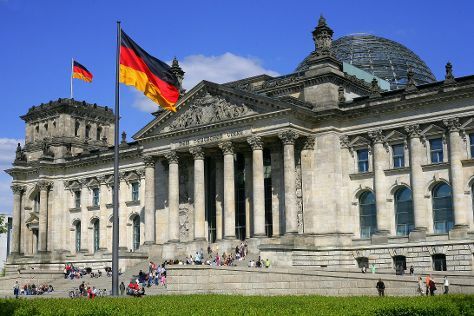 Next up on the itinerary: ponder the world of politics at Reichstag Building, pause for some photo ops at Berlin Wall Memorial, gain insight at Memorial to the Murdered Jews of Europe, and examine the collection at Pergamonmuseum. To find other places to visit, photos, where to stay, and tourist information, use the Berlin itinerary planner. Boracay, Philippines to Berlin is an approximately 26-hour combination of car and flight. Traveling from Boracay to Berlin, you'll gain 7 hours due to the time zone difference. In May, daily temperatures in Berlin can reach 22°C, while at night they dip to 11°C. Finish up your sightseeing early on the 22nd (Mon) so you can catch the train to Hamburg. Hamburg is known for museums, sightseeing, historic sites, nature, and fun & games. Your plan includes some of its best attractions: see the interesting displays at Miniatur Wunderland, explore the world behind art at Hamburger Kunsthalle, take in the architecture and atmosphere at St. Petri Kirche, and admire the landmark architecture of Townhall. For maps, ratings, reviews, and tourist information, read Hamburg travel itinerary creator. You can take a train from Berlin to Hamburg in 2 hours. Other options are to drive; or take a bus. In May in Hamburg, expect temperatures between 20°C during the day and 9°C at night. Finish your sightseeing early on the 26th (Fri) so you can travel to Dresden. 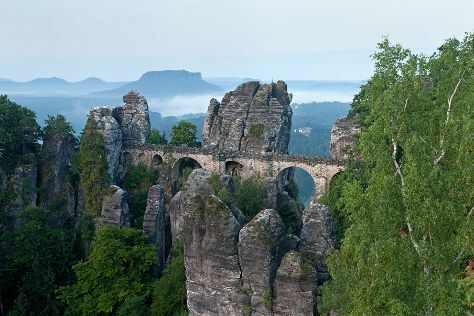 Step out of Dresden with an excursion to Elbe Sandstone Mountains in Bad Schandau--about 1:20 hours away. 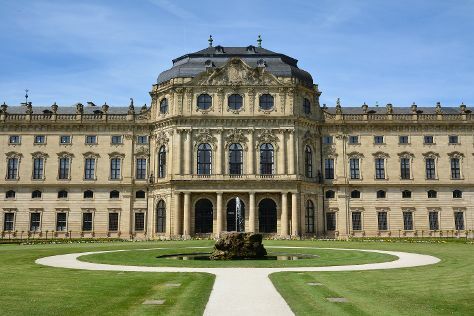 The adventure continues: make a trip to Zwinger, examine the collection at Neues Grünes Gewölbe, take in the architecture and atmosphere at Frauenkirche Dresden, and admire the masterpieces at Albertinum. To see maps, photos, ratings, and more tourist information, go to the Dresden vacation planner. Getting from Hamburg to Dresden by combination of train and flight takes about 3 hours. Other options: drive; or take a train. Expect a daytime high around 21°C in May, and nighttime lows around 10°C. Finish up your sightseeing early on the 29th (Mon) so you can go by car to Nuremberg. Explore the numerous day-trip ideas around Nuremberg: Wurzburg (Marienburg Fortress, Alte Mainbruecke, & more) and Rothenburg (Stadt Rothenburg ob der Tauber, Old Town, & more). There's much more to do: explore the historical opulence of Imperial Castle of Nuremberg, take an in-depth tour of Germanisches Nationalmuseum, contemplate in the serene atmosphere at St. Lorenz Church, and contemplate the long history of Albrecht-Dürer-Haus. To see maps, reviews, and more tourist information, read Nuremberg sightseeing planner. Drive from Dresden to Nuremberg in 3 hours. Alternatively, you can do a combination of train, flight, and subway; or take a bus. Expect a daytime high around 22°C in May, and nighttime lows around 9°C. Finish up your sightseeing early on the 31st (Wed) so you can catch the train to Munich. 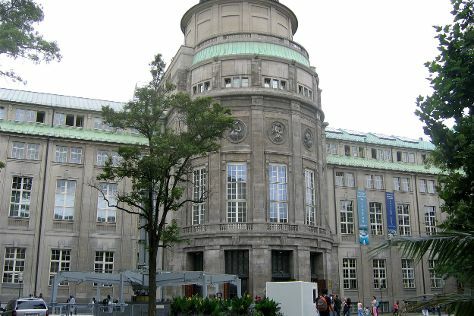 Munich is known for sightseeing, museums, nature, nightlife, and childrens museums. Your plan includes some of its best attractions: don't miss a visit to Marienplatz, admire the masterpieces at Alte Pinakothek, examine the collection at BMW Welt, and step into the grandiose world of Nymphenburg Palace (Schloss Nymphenburg). For reviews, traveler tips, more things to do, and more tourist information, read our Munich itinerary maker. Traveling by train from Nuremberg to Munich takes 1.5 hours. Alternatively, you can drive; or take a bus. In May in Munich, expect temperatures between 21°C during the day and 9°C at night. On the 4th (Sun), wrap the sightseeing up by early afternoon so you can travel back home.